There was so much happening on Caldey Island last weekend it wasn’t possible to include it all into the last post. Those of you who know me will be aware that there weren’t any creepy crawlies included, as Aunty and Number 1 daughter would call them. 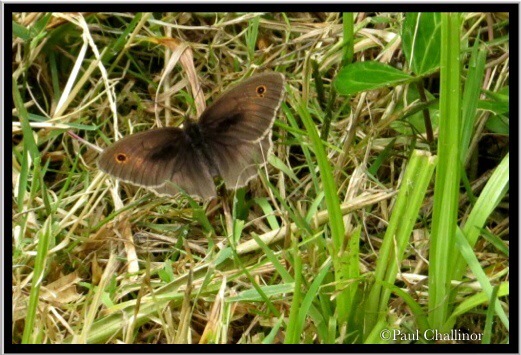 The island was awash with Meadow Brown butterflies, (Maniola jurtina) and were present almost wherever we went. All patrolling their patch of ground, rising up from their perch whenever another came into their territory. In fact they were so active it was almost impossible to get any photos. As soon as I managed to get one in focus, it would launch into the air and chase another Meadow Brown. A male would be chased until it was out of range. Females would be chased, sometimes but three of four males. I must have looked like a mad man chasing them along the paths backwards and forwards. In one small clearing in a small wood there were a number of different species, but I could sense Aunty becoming a little impatient! 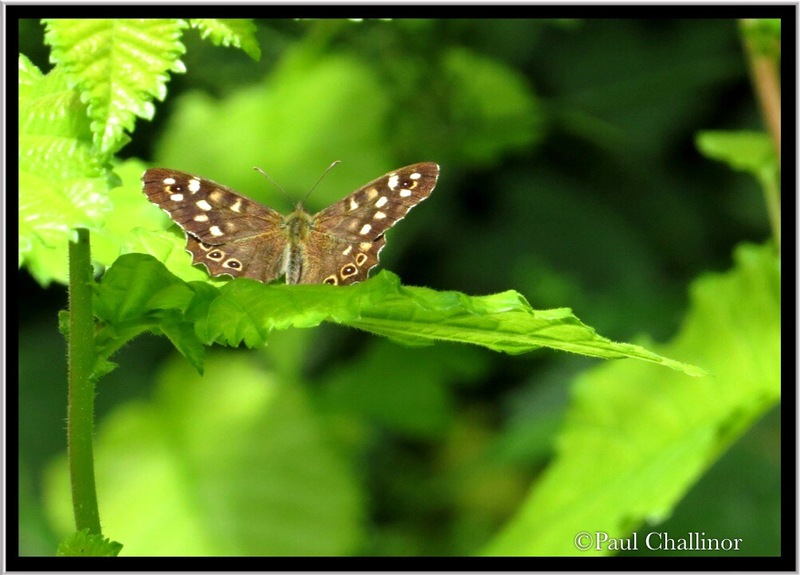 The more I photograph Speckled Wood Butterflies (Parage aergeria) the more I come to appreciate the patterns on their wings. They might be the most colourful, but the patterns seem to be deliberate, if you can follow what I’m trying to say. 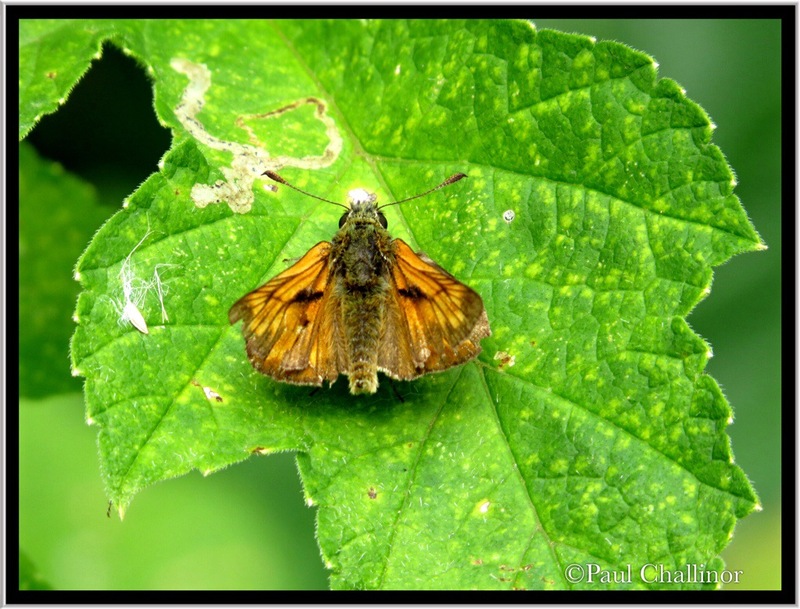 This particular clearing also housed a patrolling Small Skipper (Thymelicus sylvestris). He looks a little battered, but he was a feisty one. Out on the cliff tops Wall Butterflies (Lasiommata megera) were also evident. If you look closely at the photograph below you’ll see a pair mating. These are probably the second generation for this year, and if the weather holds, there could be a third generation in October. 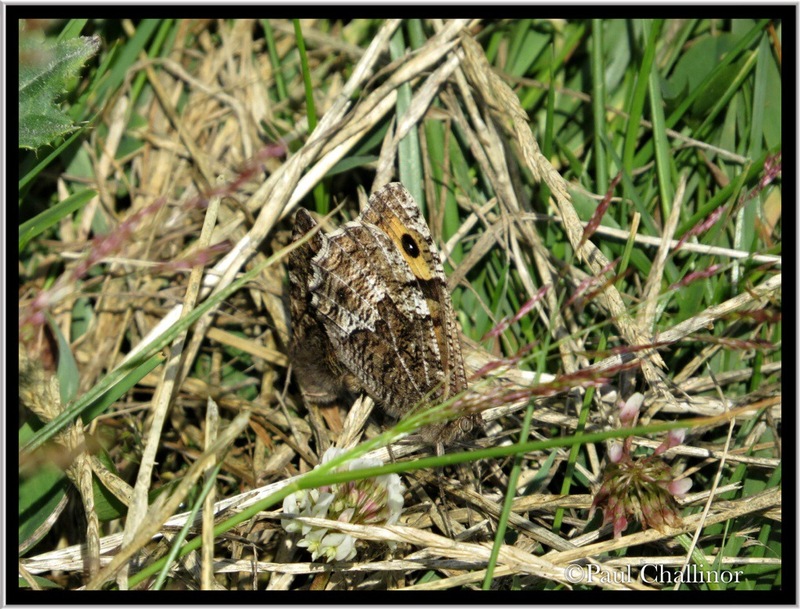 Moths were also around. In the old farm yard near to St Illtyd’s Church I disturbed a Small Magpie (Anania hortulata) moth on a nettle bed. I recently had one of these in the light trap at home. The marking a colouration are quite striking for a moth. 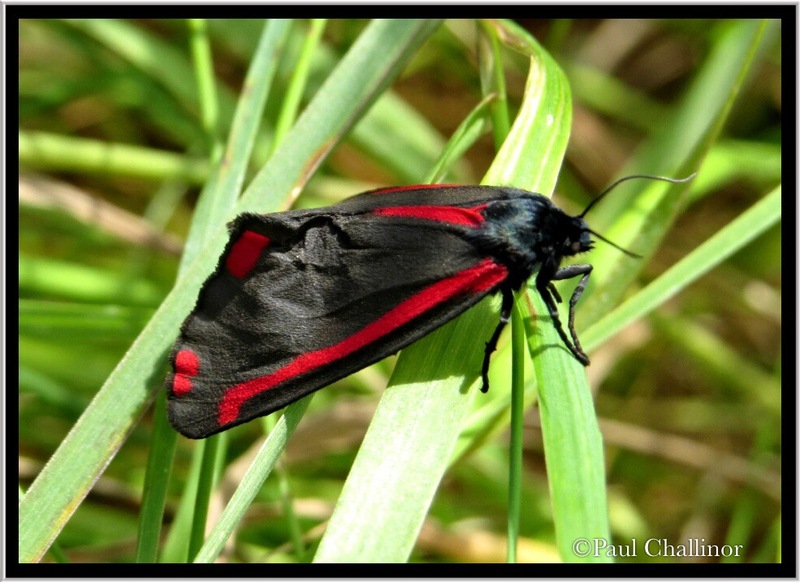 But an even more beautiful moth is the Cinnabar Moth ( Tyrian jacobaeae) I found in the meadows. 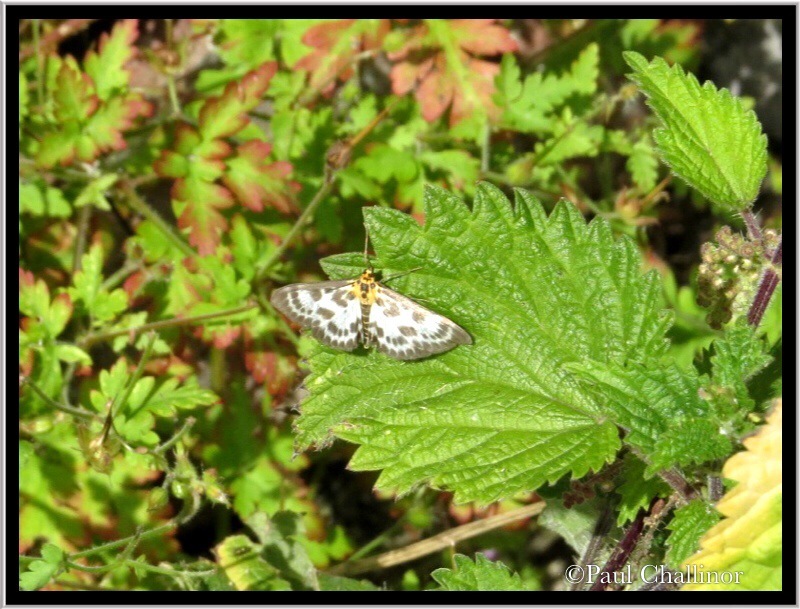 This is a day flying moth and is often seen flying during the day. This one looks like it might have recently emerged from the pupal stage as the wings look crumpled, and it was not very active. 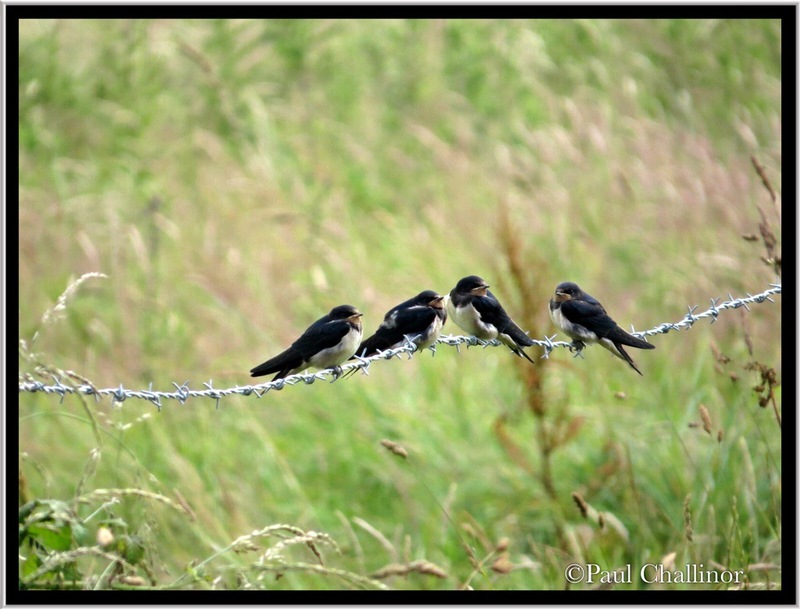 But the highlight may not have Been a butterfly, but was equally beautiful as we watched a newly fledged family of swallows sitting on the fence wires. 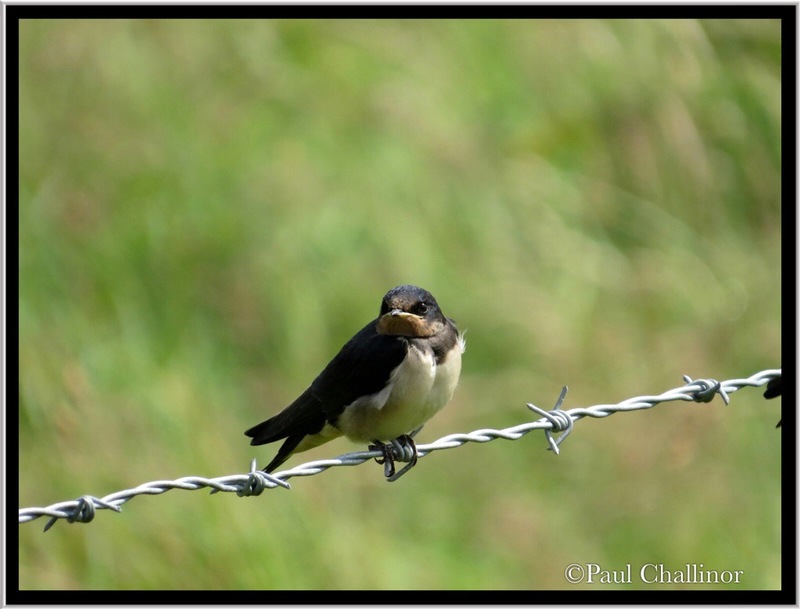 Every now and then one of the parents would return and feed one of the brood.